By using satellite technology, we bypass the need for fixed lines or mobile signals. Plus, this effectively eliminates cable theft concerns and poor signal challenges. Just because you’re in “the middle of nowhere” doesn’t mean you have to wait. We promise swift installation, and provide support 24/7, 365 days a year. Enjoy unlimited uploading and unlimited downloading during FreeZone hours (01h00 – 06h00). YahClick supports integrated ICT services including VoIP calls, video streaming and conferencing, and IP-enabled CCTV technology. 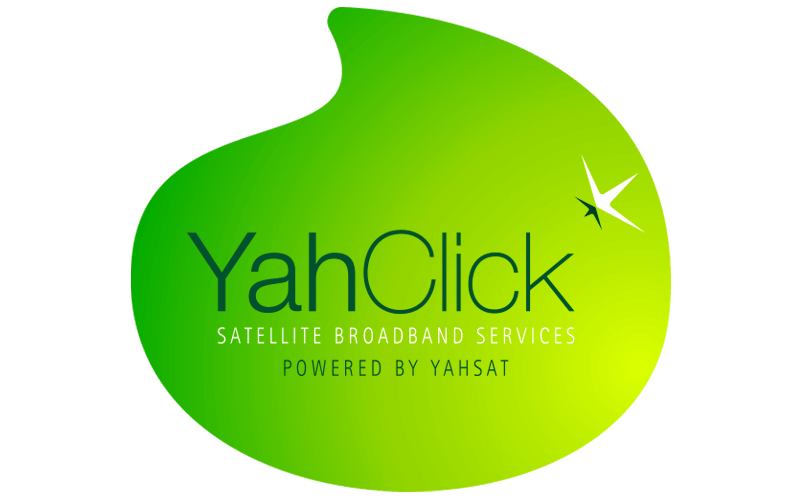 YahClick is a high-speed always-on Internet access service delivered via Satellite by Vox. The service is ideal for any consumer, business, or enterprise requiring an affordable high-speed always-on internet access service. YahClick gets you online instantly to surf the web, watch videos, download mail, etc. and is available on a range of service plans with speeds up to 15Mbps. VSAT terminals are installed at your sites by authorised installers. Each terminal consists of a small dish installed outside at a carefully selected position to ensure it has a ‘clean’ path between the dish and the satellite. The dish connects via a coaxial cable to the satellite modem installed indoors, delivering internet access via its ethernet port(s). The satellite ‘relays’ signals in the Ka-frequency band, between the VSAT terminal and an earth-station in Luxembourg, ‘connecting’ the VSAT terminal to the internet. The service is available throughout South Africa, except for small areas in the Northern Cape and North West Province. Coverage is delivered via 6 high-power spot-beams, each focused on a specific part of the country, overlapping in some areas. How big are the dishes? The further a customer is located away from the centre of the spot-beam (where signals are the strongest), the weaker the signals become. For sites towards the edges of the beams, we compensate for the ‘weaker’ signal by using a larger dish. The 3 dish sizes being deployed for this service are: 74cm (oval), 98cm (round) and 120cm (round). There are numerous packages available to choose from. The advertised speeds are maximum “burstable” throughputs. YahSat’s network capacity planning aims to ensure that during the busiest hours of usage, the throughput over the satellite path does not drop below 50% of the link’s maximum speed. I already have a DSTV dish, do I still need a dish from YahClick? Yes. The YahClick system requires a unique dish in order to send and receive information via satellite. You cannot use your DSTV dish for YahClick high-speed Internet service. To ensure voice quality, a network connection must support a feature called ‘Quality Of Service (QoS)’ that prioritises voice traffic over normal data traffic (e.g. http, YouTube, torrents, etc.). If you need to run telephone calls, please ensure that you choose one of the YahClick ‘Voice’ enabled service plans. These are specifically designed to prioritise voice and supports between one to eight concurrent G.729 encoded voice calls – depending on the service plan selected.